The report analyzes budgets of older households based on data from official national surveys. Covering sources of income as well as major categories of expenditures, it gives insight into how countries differ in the ways older persons manage the financial aspects of daily living. French retirees have lower incomes than US retirees, but what they receive amounts to a larger share of GDP per capita than in the US -- 55.6% versus 32.0%. In particular, by comparing households headed by retirees with those headed by active employees, French retirees have a living standard more similar to that of the employed population than is true for American retirees. The study also examines sources of income and shows that labor income is a larger share of household receipts for retirees in the US. The growth of the older population has made age groups 65-74 and 75+ a significant consumer market in the European economy, as well as a potential labor source. Transportation, leisure, and health care have gained in importance. While the US, unlike France, has a significant drop in household income after age 75, the countries do not differ with respect to overall consumer expenditure in relation to age: both countries show a substantial decrease after 75. (Physical limitations reducing spending on leisure may be one factor). 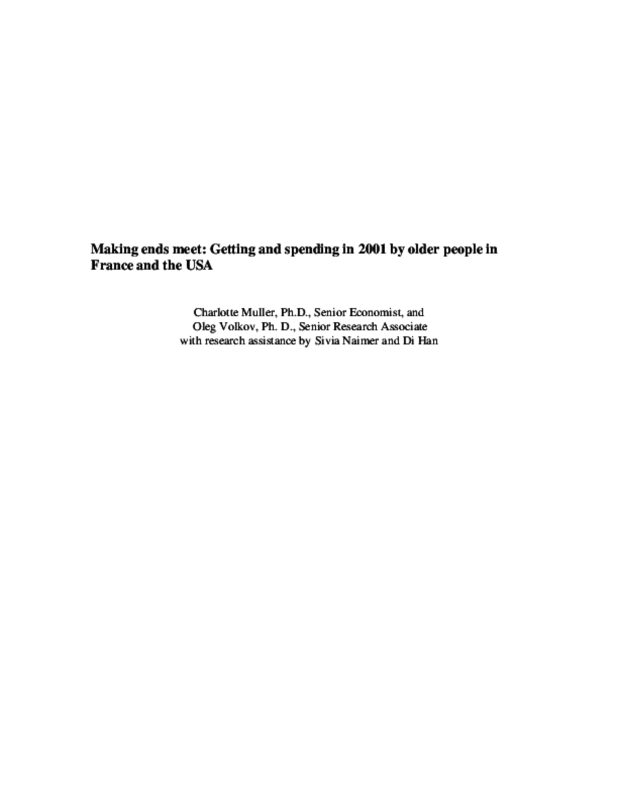 But older households in France spend half as much on health care as in the US owing to the coverage provided by the national health insurance program. Copyright 2007 International Longevity Center-USA. All rights reserved.